On June 30th, President Trump revived the National Space Council and made Vice President Pence its chairman. During a tour of Florida’s Kennedy Space Center on Thursday, July 6, Mr. Pence reaffirmed the American commitment to putting humans on Mars. After almost 25 years of dormancy, Trump’s executive order reinstated the National Space Council in order to centralize space policy oversight which is currently spread among several federal agencies. 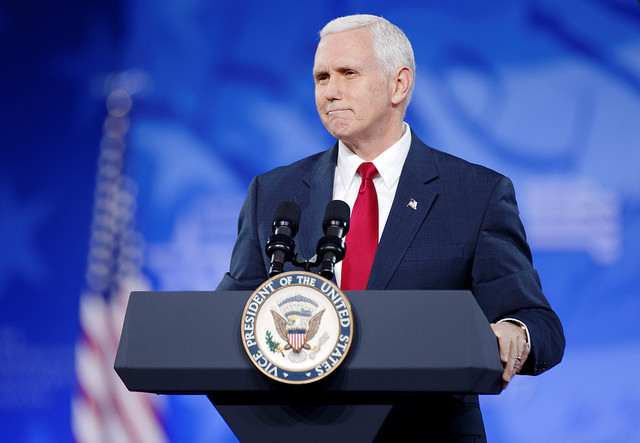 Pence will now assist the President in choosing other board members in his role as the councils’ chairman.There are many different plans to get humans to Mars, from both a variety of countries and private companies. China plans to be collecting samples from the surface of Mars by 2020. The UAE plans to have a human colony on the Red Planet by 2117. Japan’s space agency will be taking on the moons of Mars by 2024. SpaceX has set deadlines of 2018 and 2025 for unmanned and manned missions to Mars, respectively — and Boeing is planning to compete with them. Finally, with a mandate from President Trump, NASA has a plan to get us to Mars by 2033.In other words, the real question isn’t if we’ll get to Mars, but when (and how).